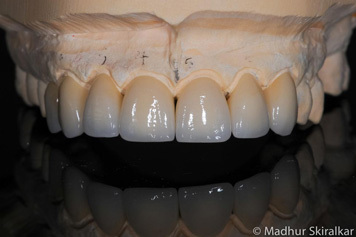 Why do patients usually need Porcelain Crowns? When a patient has a significantly damaged tooth or teeth, applying porcelain crowns is usually the best course of action. They are a functional and aesthetic solution for fractured or worn-down teeth. 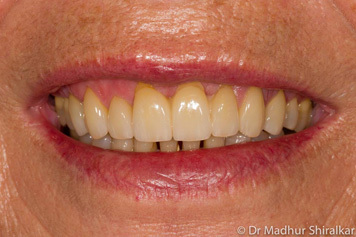 For stained teeth or those with minor imperfections, porcelain veneers or composite bonding are often better solutions. 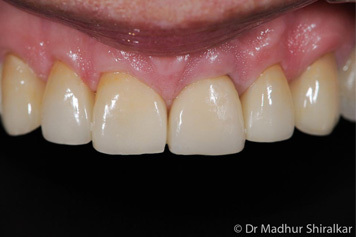 When we fit porcelain or dental crowns at our Melbourne clinics much of the natural tooth structure needs to be removed. We only apply them if necessary as we prefer not to damage an otherwise healthy tooth. When it comes to cosmetic dentistry at our Melbourne clinics, we take a biomimetic approach where we can save the good tooth structure and avoid crowns. However, they can be ideal for badly damaged teeth. 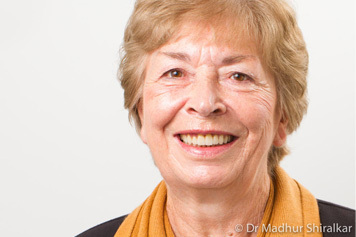 Am I a Candidate for Dental Crowns at your Melbourne Clinics? 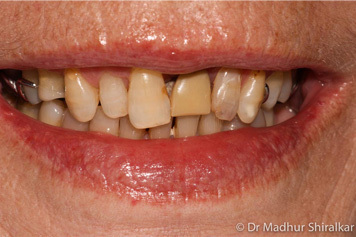 Applying certain types of dental crowns can remedy many situations. If you require significant changes to the alignment or shape of your teeth then they may be the most stable option for you. 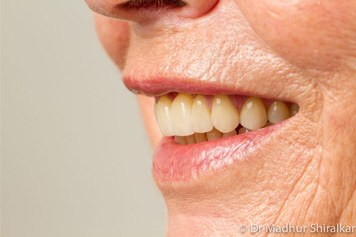 In addition, we treat patients whose bite has collapsed and, if a suitable candidate presents, we can often rebuild a bite with dental bridges and crowns. 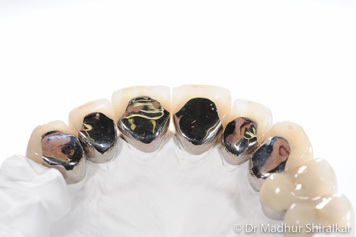 What is the process for applying crowns? For crowns to be applied they must first be attached to a solid base. Therefore, the first step in the process is removing any decay and deteriorated material. 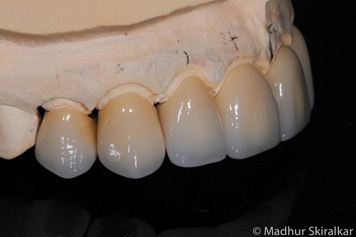 We prepare the teeth and make impressions for the crown and it’s then manufactured in one of our selected quality laboratories based in Melbourne. The final step is fitting and cementing the crown into place. There is a wide range of Crowns available and a number of factors that determine what the most appropriate one to use will be. Gum health, tooth location and the extent of damage to the tooth are just some of the factors that contribute to the final selection. 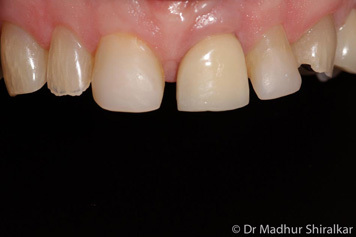 Porcelain crowns are the most aesthetic outcome with no metal exposed, however they may be susceptible to chipping unlike the metal-ceramic options. How much do dental crowns cost at your Melbourne clinic? The cost of the crown depends on the type of crown you require. We endeavour to keep our costs competitive but it’s important to realise that quality is our first concern. We never use cheap, low quality products and, as a result, our crowns stand the test of time. Our master ceramists in Melbourne all produce outstanding results that our clients expect and appreciate. 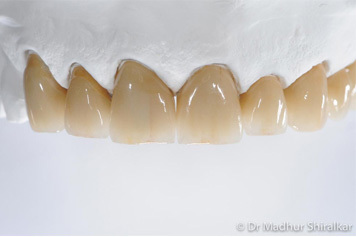 New technology has meant that dental crowns in Melbourne now look more natural while their strength is second to none. We guarantee the quality of our materials and workmanship as we are confident that you will receive the best in dental care for the long term from our holistic Melbourne dentist.